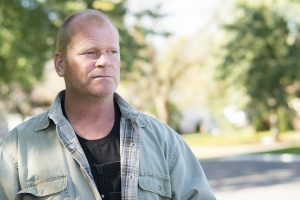 Home Blog Selling Your Home with Mike Holmes. Spring and summer are a hot time in the real estate market. There are more properties available than in the winter, and they typically sell faster, and for more money than they do during the cold season. Is this the year you sell your home? Here are a few tips to make it look competitive during the busy buying season. Having a home inspection before you list the house can be a great selling tool for potential buyers. The home inspection provides a snapshot of the house at the time of inspection. Having this done before listing, you can show potential buyers that the new HVAC you installed, or the brand new roof are still in great shape. Did your inspection come back with some areas in need of repair? Before you list, this is your chance to take care of those items. You want to take care of things that would be a deterrent for potential buyers. In a buyer’s market this is especially important, but even in a seller’s market, it may help you bring in higher price or sell the home more quickly. A buyer’s first impression of the home will be from the outside – so give it a good clean to bring it back to life. Your exterior, decks, sheds, and fences all need careful maintenance to keep them standing strong and safe. For heavy dirt and grime, or instances of surface mold, Concrobium House & Deck Wash can loosen those stubborn stains and bring new life back to your older structures. Concrobium Mold Stain Eraser can be used for any deeply, embedded staining, with no rinsing or scrubbing involved. I know – nobody likes spring cleaning, but a clean house is an inviting one. Make sure all your surfaces shine bright. For areas commonly affected by mold, like your bathroom – spray affected areas with Concrobium Mold Control Spray to crush mold spores under the surface and keep them from coming back. As hard as it may be to pull down treasured family photos and other memorabilia – you want a potential buyer to walk through your home and be able to visualize their own lives there. That can be really hard when a house is stuffed to the brim with decades of furniture and decorations. Keep the items that are necessary, but place as much as you can in storage to make your house look like a blank canvas the new owners will want to add their own flair to. You may have a bold sense of style when it comes to your home. I know my daughter, Sherry does – you should see some of the wild designs she’s come up with for a few of our renovation jobs. An eclectic design might work for you personally, but when it comes to potential buyers, it could be a turn off. If you’ve got any bright, bold rooms in the house – paint the walls with a neutral color that will let the buyer focus on the space within the walls, and not that shade of electric blue you just had to have.